« It Just Doesn’t Get Any Better Than This. 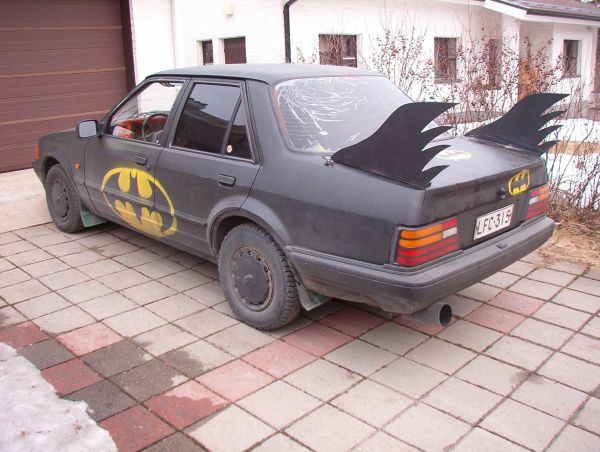 I bet Robin drove this. Dork. This entry was posted on Monday, 6 August 2007 at 10:12 PM and is filed under Automotive, Babe Magnet, Humor, Odd, Stupid. You can follow any responses to this entry through the RSS 2.0 feed. You can leave a response, or trackback from your own site. see bunk? the car is amazing. i guess i’m not the only girl who’d get in it. Sara– Got it. I’ll start on the second batfin right away. For you, $250. See me after the seminar. [snork] Baba Yaga Magnet, then?